Cancer Cluster linked to Camp Lejeune, rise in lawsuits against the U.S. The New York Times, in an article earlier this year, discussed the emerging claims by marines and their families of cancer caused by exposure to contaminated drinking water at Camp Lejeune. The article is fascinating in that it discusses this concept of a “cancer cluster,” or a cancer outbreak. You’ve probably seen the movie Erin Brockovich, or possibly A Civil Action, both based on true stories where it appeared people were exposed to an environmental contaminant and developed cancer. But what is interesting, is that rarely do epidemiologists assert that an outbreak is specifically associated with an environmental agent, but instead is merely random. The federal government has disclosed that from the 1950s through the 1980s those who lived or worked on the Marine Corps Base Camp Lejeune in North Carolina were potentially exposed to drinking water contaminated with benzene, vinyl chloride, and other chemicals (including dry-cleaning fluids). According to the Agency for Toxic Substances & Disease Registry (ATSDR), the drinking water at Camp Lejeune came from the Tarawa Terrace and Hadnot Point treatment plants, which were contaminated with volatile organic compounds (VOCs). The main VOC found at Tarawa Terrace was perchloroethylene (PCE). 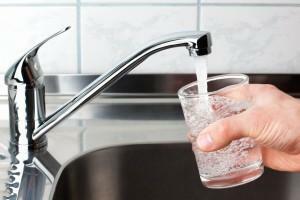 A maximum level of 215 micrograms per liter of PCE was discovered, which is 43 times higher than the current U.S. maximum contaminant level allowed in drinking water according to ATSDR. Hadnot Point had trichloroethylene (TCE), vinyl chloride, benzene, and trans-1, 2-cichlorethylene (DCE). A maximum level of 1,400 of TCE was found in Hadnot Point which was 280 times higher than the current U.S. max contaminant level allowed in drinking water! According to National Toxicology Program, benzene and vinyl chloride are human carcinogens. Additionally, the National Toxicology Program believes that trichloroethylene is reasonably anticipated to be a human carcinogen. The New York Times article mentions a recent lawsuit regarding the water contamination at Camp Lejeune that was grouped into a case in the federal District Court of Northern Georgia in what is called a multi-district litigation (as there are multiple plaintiffs). The 11th Circuit Court of Appeals released an opinion in October of 2014 regarding an interlocutory appeal (an appeal that occurs prior to a trial court’s final ruling on a case) in this matter. Firstly, the plaintiffs brought the action against the U.S. under the Federal Tort Claims Act (FTCA). What is the FTCA? It is a federal statute that gives federal district courts exclusive jurisdiction of civil actions or claims against the U.S. for injuries caused by the negligent or wrongful act or omission of any employee of the federal government while acting within the scope of his or her office or employment. In this particular case, the U.S. asked the court to dismiss the case arguing that the North Carolina statute of repose prevents the case from moving forward because after 10 years from the last act or omission of the defendant there is no longer a cause of action. For purposes of clarification, a statute of repose is “a statute barring any suit that is brought after a specified time since the defendant acted (such as by designing or manufacturing a product), even if this period ends before the plaintiff has suffered a resulting injury.” This differs from a statute of limitations, which is “a time limit for suing in a civil case, based on the date when the claim accrued.” Black’s Law Dictionary (10th ed. 2014). The purpose of a statute of repose is to release a defendant from liability after a certain amount of time. The court used North Carolina law here because that is where the contaminated water was located and consumed. The district court ruled that a particular section of CERCLA (an act intended to create timely cleanup of hazardous waste) preempted the state statute of repose, or where the federal law trumps state law. However, prior to the 11th Circuit’s ruling, the Supreme Court held in CTS Corp. v. Waldburder, 134 S. Ct. 2175 (2014) that state law is not preempted by CERCLA; therefore, the North Carolina statute of repose was not preempted. The 11th Circuit also had to decide whether the statute of repose considered latent diseases. The court held that the statute did not contain an exception for latent diseases. However, the court did note in a footnote that “plaintiffs still contend that genuine issues of material facts exist as to whether the Government’s last act or omission occurred within ten years.” Yet, the court of appeals decided not to rehear arguments in this case when it was later appealed in January. Given the rise in cases filed against the Unites States due to the contaminated water it will be interesting to see how other cases move forward.